We just reviewed Mike and Ike Root Beer– a fantastic retro flavor with equally sweet retro packaging. This week, I’m looking at their other current limited issue offering, classic Cotton Candy flavor. First off, let’s take a moment to appreciate the packaging. I’m genuinely very impressed with it. Not only is the design absolutely slathered with Americana old school goodness, but the color palette takes it to another level. Look at the background of the box-it’s not white. It’s an off-white yellowish color. It almost makes you feel like the box has been sitting out, fading in the sunlight in the window of the local 5 & dime. Honestly, if I were designing this box, I doubt I would have nailed it like this. And then there’s the color of the candies. Again, perfect. I didn’t do any color processing on these photos, just to make sure that the muted nature of the colors came through. Very nicely done. Which leaves the the only thing left to talk about- the flavor. Um, how do you say…..blech. I didn’t like it at all. And here’s why: I don’t like cotton candy. And here’s why: it’s just sugar! So essentially, we have sugar flavored candy. Matty doesn’t agree with me-he likes these. And the kids? They all love them. 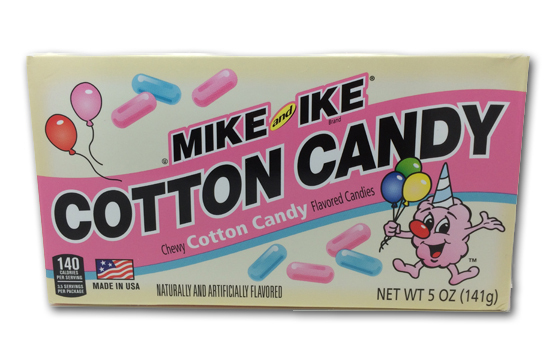 It’s very safe to say that fans of cotton candy will dig these. Honestly though, real cotton candy has this delightful texture that’s completey unique. That texture makes the flavor ok for me at the ballpark (the kid needs his cotton candy at Giants games) to have a bite or two. 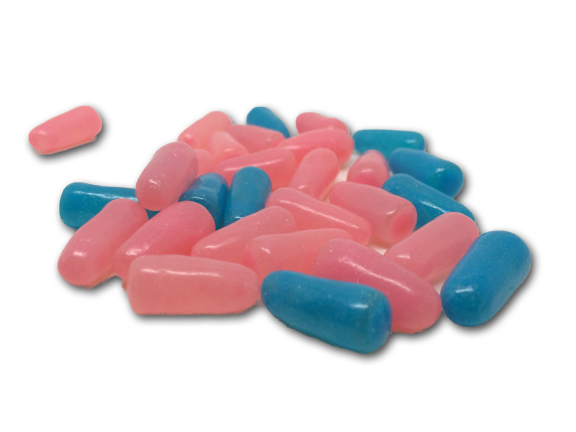 But these candies don’t have that texture, nor do they have quite as much developed flavor. Like the box colors, the flavor is just a bit muted too. So for me, it’s just way too sweet with nothing else going on. You might be tempted to buy these simply for the packaging and kitsch factor-and I wouldn’t blame you for that at all. But if you’re going for flavor, these aren’t the droids you’re looking for.